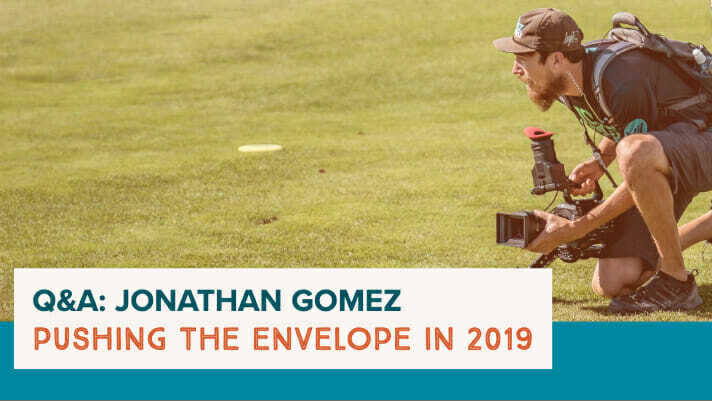 With the release of the 2019 JomezPro touring schedule this week, we thought it was time to catch-up with the eponymous Jonathan Gomez to talk about 2018, the offseason, a public parting of ways with the Disc Golf Pro Tour, and what we can expect from the video crew in 2019. Ultiworld Disc Golf: How has the offseason been? Jonathan Gomez: It’s been nice to be home and chill with family and friends, and it’s also really exciting that this has been the most busy offseason for us. And that’s good when it’s your full-time job. Things are looking really good for this coming season. UWDG: How set is the schedule? JG: It’s pretty set, we put a lot of work into it. We wanted to wait until we had something solid. There were so many events that we knew we were going to and wanted to be sure we had it filled in. Once we put it up we got a bunch of requests from our website so there are some events we might add in there. UWDG: Your schedule shows that you’ll be at the Waco Annual Charity Open, which is a DGPT event. Can you offer any clarification on that? JG: We’ve got a great relationship with Ryan Draper, the TD, and it’s a Texas event. We’ve been doing WACO since before it was a Pro Tour event, and so between us and Ryan Draper, he told us from the beginning you’ll always be in Waco and it’s never really been an issue until this year. Since how things worked out with the Pro Tour, it’s kind of different, so I was on some calls with [Draper] and he had some calls with the Pro Tour, and he told us that we’ve had an agreement before any other agreements. For something like Waco that we’ve been doing for a long time and having support from the TD side, it’s something of a special case. I’m not sure how it will work out, but he’s assured us that we’ll be at WACO. UWDG: Were you approached by most of the tournaments on the schedule, or did you have to contact them? JG: In the case of quite a few of the non-PDGA National Tour and Majors — The Rumble, Throw Down The Mountain, CCR, Texas States, and Mid-America — [they] are all Discraft-sponsored events, and we ended up coming up with a deal with Discraft and TDs to get us to those events. Discraft came up really big for us by adding five events to our schedule, because we’re losing about 10 events, so that was really awesome. For events like Utah Open and KC Wide Open, we’ve had relationships with them for a while now and we talked with them independently. Same could be said for the Nick Hyde Memorial. We definitely have great relationships with just about all the events we’ve been to in the past, and for lots of reasons they have to run through the Pro Tour. So when it became clear how things would work out we had to figure out how we had to talk to the TDs and see how much say they had in who comes to their events. Discraft was really instrumental in helping us try to make a deal to cover the Discraft-sponsored Pro Tour events. Ultimately it falls under the Pro Tour umbrella with who gets to cover the events. They have their media plan and we wish them the best of luck, and it’s unfortunate we weren’t able to come to a deal. UWDG: Innova has been the presenting sponsor on the majority of your videos. What is that relationship like? JG: In the case of 2018, that was awesome to have the kind of support we had from Innova. We couldn’t thank them enough for making it as easy as possible from the beginning of the season, asking us how they can help us. They basically took 90-percent of the schedule, maybe more, which helped alleviate a lot of the stress. 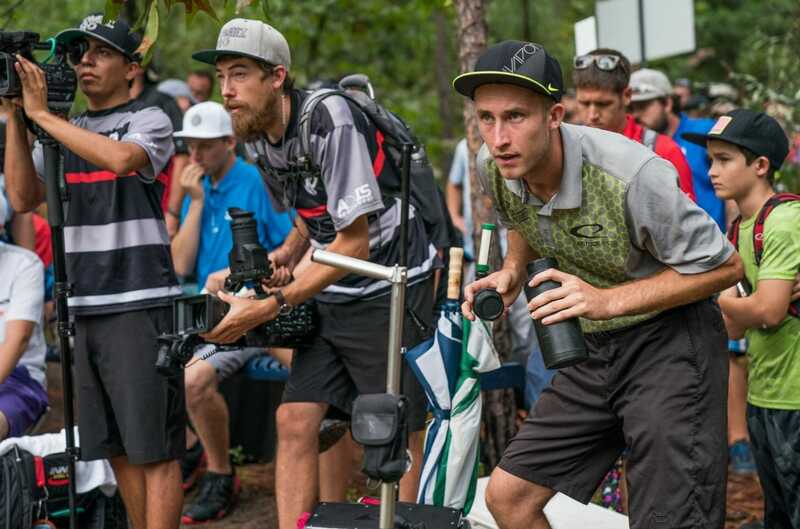 The problem with something like that is that when we’re sponsored by Innova and go to an event sponsored by Dynamic Discs, Discraft, or any other manufacturer, that creates some friction because they want to basically own the event including the media coverage. So, 2018 was great because we were sponsored by one company and it alleviated the stress for finding sponsorships, but that’s not to say that we didn’t run into certain issues at certain places. We made it through, and a lot of the events were very understanding. Moving forward that’s not really possible, and it doesn’t make any sense to do things that way. We want to be sponsored by whoever the presenting sponsor is. If we’re going to Glass Blown Open we want to be sponsored by Dynamic Discs. I think this is the direction it needs to go, and it hasn’t always been a situation where people have been on the same page. Where to one manufacturer maybe media wasn’t as high a priority, so Innova came in and helped out. That was awesome but I think now we’re getting more aligned where companies are saying we need to take care of the media as soon as possible. It’s not an afterthought anymore. UWDG: What sort of commentary teams do you have lined up for 2019? JG: For the majority of the NTs and Majors we know that Nate [Sexton] and Jeremy [Koling] will be there. We’re still gonna have a solid schedule of BigSexy, they’ve been great. They’ve helped us grow so much and I’d like to think we’ve helped grow their brands too. Also, you know we’ve got a solid roster of players who have stepped up with A.J. Risley and Paul Ulibarri, sometimes Simon [Lizotte] and Eagle [McMahon], and Lisa [Fajkus] and Madison Walker for the ladies. Of course, we can expand on that. And so maybe the good thing about going to different events is knowing that we have other people available because it’s not easy. If you ask any of these players commentating, it’s not as easy as it appears because they’ve got to practice and play, and we call them up at 8 am the next morning to do commentary. They’ve got to grab some food and do it all over again until the tournament is over. I really have to thank them because people really don’t understand the commitment. I’ve had players tell me that they want to do it, and then when they realize how much of a time commitment it is it’s not as attractive. It takes a whole different level of commitment to be a player and commentator which is why we keep building our team around players like that. We’re talking about an hour of recording alone, and you have to think about travel if we’re not next to the players. It’s almost voluntary if you think about how much work it is compared to the compensation, which is a lot of what disc golf media is right now. UWDG: What have you thought about the fan reaction around the parting of the ways between you and the DGPT? JG: We appreciate the amount of support we’ve seen, it has been incredible. I really didn’t know what to expect when things started happening, but almost immediately the fans were showing that kind of support to us and saying they were backing us in all this. We weren’t trying to divide or create any separation in the community, and ultimately I think that will all be mended and come back together. But to see that whenever there was friction, the fans said they were with us and that, “I don’t care if you go to some other A-tier I’ve never heard of, I’m still gonna watch,” really spoke to us and told us that we’re putting out the best product that we can. It fuels and excites us even more, and pushes us, even more, to push the envelope for 2019. UWDG: Should we be looking forward to any new features coming this year? JG: We’ve been working with UDisc over the past couple of years as we’ve been developing a more solid graphics system. Juan Luis Garcia has taken over as our Creative Director and we’ve been working on graphics for this season since the end of last year. The great part of working with UDisc’s Matt Krueger and Josh Lichti is that they are 100-percent on board with helping us improve our graphics. We’re looking to create a more in-depth experience for the fans and viewers to see more information on scoring and stats, and little extra features that we pick up as fans of disc golf and sports ourselves. We watch other sports and we’ll find little things we see in production for football or basketball and wonder how we can get that to disc golf. We might bring an idea to the guys at UDisc and they say it’s totally doable. When we can match the information that they’ve got with the graphics and production side of things, we’re really excited to be introducing some new things. UWDG: What was your personal favorite highlight of 2018? JG: When Paul shot the 18-down, to be there and witness, and be tasked with showing that to the world. Then to find that Mike at ESPN was able to cut that up himself and write the script for the announcer to get it on the air for a two minute dedicated piece just about disc golf. Just to know that all that came together in the moment with Paul doing it, us catching it, the right person at ESPN seeing it, and taking it upon himself to get it on the air. It’s got to be a highlight, not just for the year, but my career too. Just to know all the things that came together in a perfect way and may never happen again. 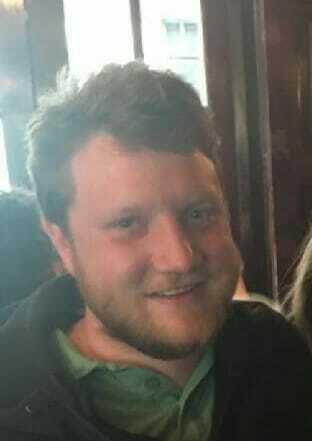 UWDG: Do you have any bold predictions for 2019? JG: I am so excited to see all these athletes are on another level, and are going to be able to take new discs and new manufacturers and show people it’s the archer, not the arrow, and come out guns blazing and show people a whole new side of what these players can do. Comments on "Q&A: Jonathan Gomez of JomezPro"